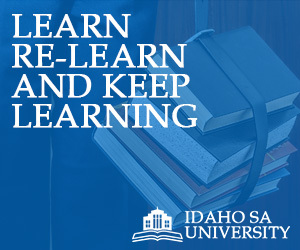 Idaho SA University is for everyone. And by everyone, we mean anyone who wants to avail of the best educational services that are readily available. So it doesn’t matter of you are a junior in high school, a sophomore in college, a working 20-something, a housewife, or a retired businessman; our online community welcomes you with open arms. Because we live by what we believe in and we are dedicated to our goal, our courses and educational programs cater to all sectors of society. There are courses for those who are in high school and college, and there are programs for those who are currently in a 9-to-5 job and for housewives and homemakers. Moreover, we offer several specialty courses that cater to particular skills and interests. Whatever it is you want to learn more about, you are free to do so! For those who want to learn how to put their practical skills to good use. If you think you are good in automotive technology or mechanical engineering, we have the right courses and programs for you. Women who love to dabble in cosmetics and fashion will also find something that will interest them. Browse through our practical skills program list to find out which one suits you best. 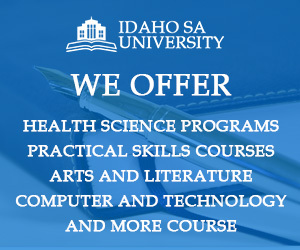 If your dream of becoming a nurse or doctor has not yet come true, Idaho SA University is here to help you. We can help you prepare with courses like practical nursing and pharmacy technician. There are a lot of courses you can choose from, depending on what you want to focus on. For those who dream of making their own films someday, or of hogging the Broadway spotlight. For those who are creative, who choose to explore their artistic skills despite any odds, here are some courses you might want to take part in. Also offered are literature courses for those who want to keep the works of Shakespeare alive, as well as for those who love anything related to writing. These are courses and programs created especially for those who love computers – using it, tinkering with it, exploring its interiors and exteriors. Likewise, this is for those who dream of creating their own computer programs and apps someday. For our young students in Idaho. There are a lot of courses to choose from. Some are intended as a complement to your subjects in school, and the others are for those who want an education but cannot afford to go to school just yet.